Whether you are preparing for university study, or improving your English for personal or professional reasons, Intensive English is suitable for you. This programme enables you to study English language at various levels tailored to your learning goals at a pace to suit you. There are four Certificate levels in Intensive English - from Elementary to Upper Intermediate. Each certificate consists of four courses that you can expect to complete in 16 weeks of successful full-time study. Your progress through the module-based programme will be assessed regularly and, if appropriate, you can be moved to another level that best suits your needs and language development. On successfully completing four courses at a level, you can apply to graduate with the Certificate in Intensive English and can attend the graduation ceremony (only if enrolled in the certificate) if you wish. Intensive English offers a pathway into direct-entry English or Foundation programmes. Students who want to progress into degree study will have to meet the required IELTS and academic requirements. You will be advised on these options by academic staff. Flexible enrolment options for international students combined with an online placement test enable you to start Intensive English almost any Monday of the year. Flexible study options mean international students can study for four weeks or for as long as it takes to reach your study goals. Domestic students must enrol for a minimum of one 7 or 8 week module. Situated on the university campus, Intensive English enables you to study on campus and take advantage of clubs and facilities that the university has on offer for students. After completing a Bachelor of Veterinary Medicine and Animal Resources in my home city of Al-Hasa, Saudi Arabia, I wanted to increase awareness of Middle Eastern respiratory syndrome. MERS has been found in camels in my rural community and I want to help prevent further outbreaks and transmission to humans. I received a scholarship to do a master’s degree overseas. 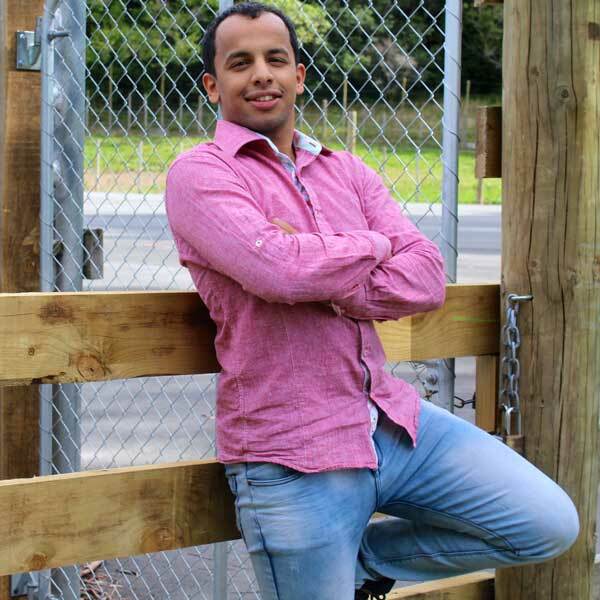 My wife and I were happy to move to New Zealand in 2015 as I have family here and the Massey Veterinary Programme is regarded in Saudi Arabia as one of the best in the world. The cost of living and transport is significantly cheaper in Palmerston North than in larger centres and the city is family-oriented with a lot of cultural diversity. You feel like a New Zealander - one of them, not a minority. With the help of Massey Accommodation Services we quickly settled into rental accommodation and I began my pathway programme with Massey’s Centre for Professional and Continuing Education (PaCE). As I spoke limited English, I began in the upper intermediate level of Intensive English Language Studies (IELS) and quickly moved into the DEEP (Direct Entry English Pathway) Advanced programme. PaCE staff are very professional and accommodating and have made learning English and preparing for my postgraduate studies easier than I expected. The teachers have expanded my knowledge and changed my views from narrow to wider and introduced western thinking. As there are fewer students on the Manawatu campus than in the bigger cities, I have been able to have more one-to-one learning time with my teachers. My wife has made friends here and our second child was born at the local hospital. Our toddler attends daycare and speaks fluent English, and we enjoy spending time together as a family in the city’s many parks. In 2017, I will begin my Master of Veterinary Studies (Epidemiology) and plan to finish in 2018. After I graduate, I would like to work for one of the world-class dairy facilities in Manawatu. I would love to return home and say I have worked for Anchor. This experience, as well as my degree, will open many doors for me in Saudi Arabia. There are four Certificates in Intensive English - Elementary, Pre-Intermediate, Intermediate and Upper Intermediate.